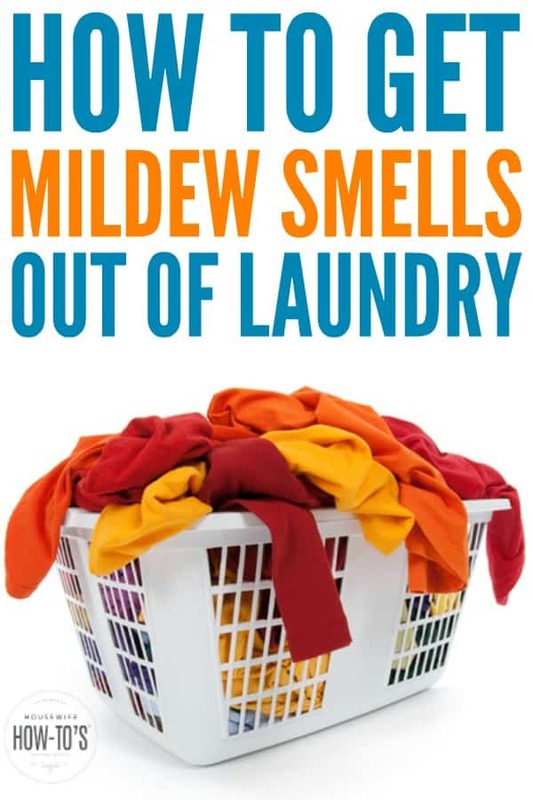 Get Rid of Mildew Smells in the Laundry: 3 Easy Solutions that WORK! You forgot about the load in the washing machine, and now you want to know how to get rid of mildew smells in the laundry? Don’t feel bad — it happens to all of us. Whether you fell asleep binge-watching Netflix or got distracted by some other chore, you’re not the only one who’s gone to throw another load in the machine only to find one already there, stinking up the place. Follow these easy steps to get rid of mildew smell in the laundry and rest assured your clothes are truly clean when you’re done. Leave the mildewed laundry in the washer and run the machine on the hottest setting to fill the washer’s tub. Add 2 cups of white vinegar and pause the cycle to let the smelly laundry soak for an hour. Don’t forget about it this time, of course. After an hour, add your usual amount of detergent and let the machine proceed to wash and dry. Baking soda is a fantastic odor-neutralizer. It kills different species of mold and mildew than vinegar does. So, if your laundry still has a musty smell after using the vinegar method, repeat it but use 1 cup baking soda in place of the vinegar. If you don’t have an issue with using Oxiclean (and I don’t), the oxygenated cleaning powder does a beautiful job killing mildew. Add one scoop to the load and wash it on the hottest setting the fabric can handle. 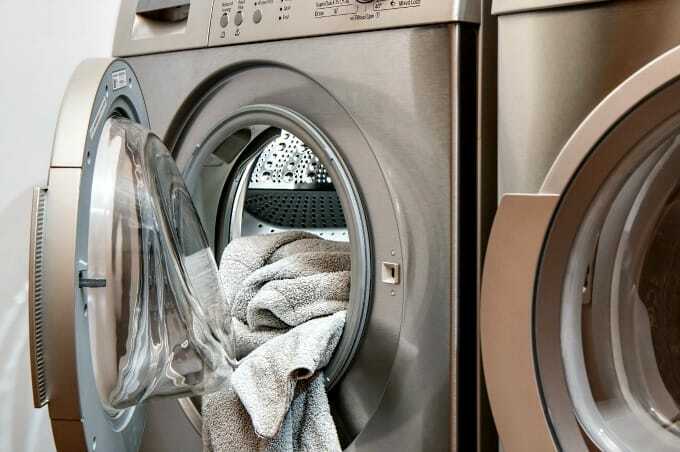 Once you’ve managed to get rid of mildew smells in the laundry, clean your washing machine thoroughly to kill any fungus in the gaskets and other areas, so future loads don’t pick up that smell. what if you have a front loader, and you can’t open it or let it pause the cycle. Once it starts it goes to the end. So how do how do you do the wash then, just pour the vinegar in and let it wash? dOES ANYONE HAVE THE ANSWER FOR THIS? There are three methods described here. Since adding vinegar doesn’t work, try the baking soda or Oxiclean method — just add one or the other to your load before the wash.
Will the baking soda bleach the coloured clothes? My hub complained when I used vinegar. He has a labor intense job. He said in the heat, the vinegar started mixing with his sweat. I rinsed twice, but ultimately had to stop using it. I’m not someone who sweats very much. I didn’t have a problem. Do you use vinegar alone, then start the load again with regular detergent? Thanks! I don’t, but no one in my family is that sensitive to vinegar. Since your husband is, you might want to use the baking soda method. Also, using too much fabric softener can make the smell worse. When do I stop the cycle to let it soak? Just after the machine has filled with water? I have used this method several times but my towels still have a musty smell. My towels are old (about 8 years). Do I just need to replace them? It’s hard to say. Have you tried hanging them to dry in the sun? That often gets rid of the smell completely. Also, if your linen closet is musty your towels will smell musty, too. Try stashing an open box of chalk in there to absorb any moisture and replace that monthly. You should be able to use ACV just fine, Bailey.